With every passing year, it becomes more evident that being a “data-driven” business is no longer optional. Data can unveil a lot about users, customer bases, markets, and more. Patterns and trends can even be drawn from the data that resides within internal databases. Being able to analyze data and put it into action can make a world of difference for many industries. Of course, in order to interpret data and apply it effectively, a business will need to consider which analytics software is right for them. In this article, we’ll break down the four main types of data analytics businesses should expect to come across in their search for software. Businesses looking to gain a competitive advantage by utilizing data inside and outside their systems should familiarize themselves with the four types of data analytics. Predictive analytics tells what is likely to happen next. Prescriptive analytics provides actions to take next. Now that you have a basic understanding of each type of data analysis, let’s dive deeper into the features, challenges, and examples of each one. Descriptive analytics is introductory, retrospective, and answers the question “what happened?” It accounts for roughly 80 percent of business analytics today, making it the most common type of data analysis. Descriptive analytics introduce a problem to a business by analyzing historical data that resides within internal databases and systems. This analysis is low in complexity with little barrier to entry for data analysts. Descriptive analytics is typically visualized in simple reports, dashboards, and scorecards using data visualization software. It’s common to present this information to decision-makers by using business intelligence tools. For data analysis to provide actual value, a problem first needs to be pinpointed. This is perhaps the biggest upside to descriptive analytics and how it opens the door for more advanced solutions, some of which we’ll discuss later in the article. Descriptive analytics, however, has its limitations. While other analytics go more in-depth about specific problems and map out possible next steps a business should take, descriptive analytics simply introduce the problem. For many businesses that consider themselves “data-driven,” descriptive analytics is only the first of many steps. 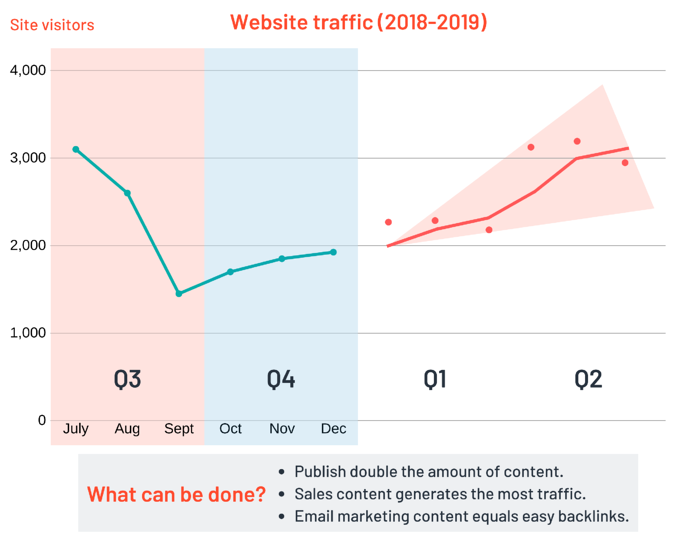 Let’s say website traffic numbers fell just short of its goal in 2018. That’s enough reason to run a descriptive analysis to see what went wrong. 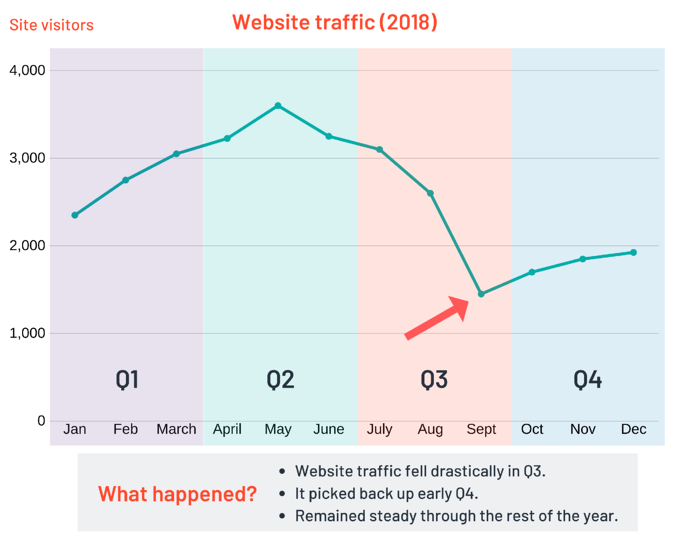 Website traffic fell drastically in Q3. It picked back up in early Q4. Remained steady through the rest of the year. Diagnostic analytics is retrospective as well, but instead, it seeks “why” the problem that was laid out in the descriptive analysis occurred. Diagnostic analytics is the essential “next step” after a business conducts a descriptive analysis. Diagnostic analytics also leverages a business’ historical data across many internal sources. This analysis is more complex and requires data analysts to drill into the analytics to find patterns, trends, and correlations. This can be done using data mining techniques such as regression analysis, anomaly detection, clustering analysis, and others. 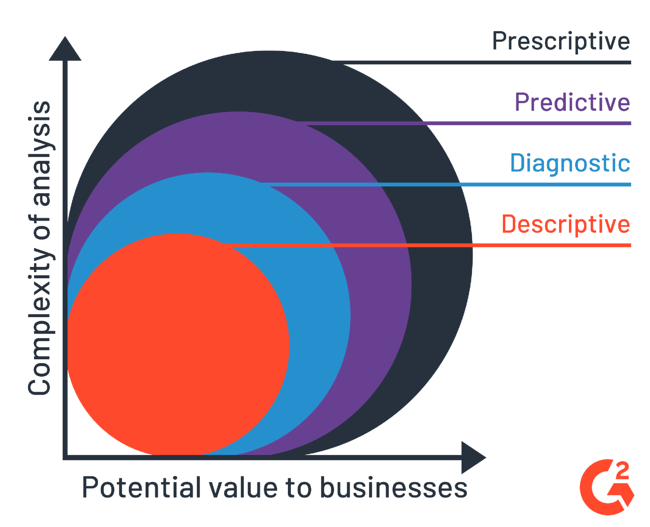 The biggest upside of diagnostic analytics is being able to provide context to a business problem through a number of data models. Although diagnostic analyses rely on the speed and accuracy of machines, it is important for human analysts to not misinterpret patterns as “causation” of a business problem. Instead, this information should be used to support decision-making. 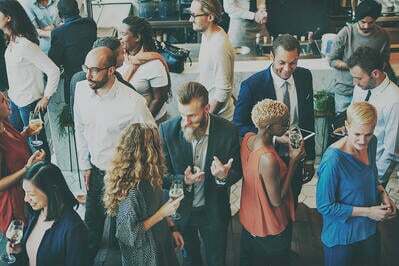 For many businesses, understanding “what” the problem was and “why” it occurred may be enough, but for some, looking ahead to the future holds more valuable answers. This is where predictive analytics come in. 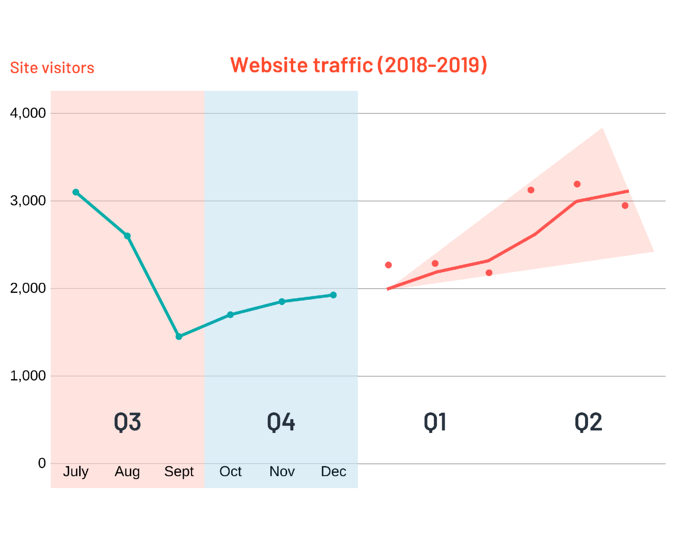 Using our previous example, we now understand where the problem occurred, but exactly why did website traffic plummet so sharply? Website traffic fell during a search engine algorithm update. There was a 25 percent decrease in published web content. 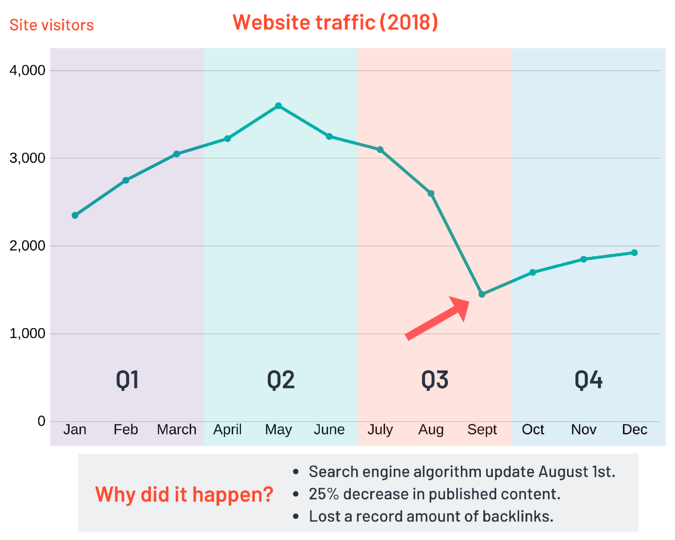 A record amount of backlinks were lost in Q3. Predictive analytics considers the “what” and the “why” surrounding key business problems, and provides calculated predictions of what a business could expect next. Of course, to harness predictive analytics, a data scientist will have to sift through and clean historical data first. This analysis is very complex and is made possible using advanced technologies like machine learning, data mining, and predictive modeling. With the right data and algorithms, businesses shouldn’t make the same mistake twice using predictive analytics. Its usefulness also transcends many industries. For example, manufacturers being able to forecast future equipment breakdowns with predictive maintenance. Predictive analytics, while great, can come with some drawbacks. First, it’s important to understand that inaccurate data always leads to inaccurate analytics. Predictive models built with inaccurate information will only lead to more confusion for a business. Also, models need to be constantly governed, tweaked, and refined by data analysts and scientists to ensure they're generating the right results. Prescriptive analytics is the final type of advanced analysis. It takes the information that’s been predicted and prescribes calculated next steps to take. Prescriptive analytics utilizes both historical data and external information for the most accurate forecasting possible. It is dependent on codified rules. This analysis is extremely complex and requires a data scientist or scientists with prior knowledge of prescriptive models. Prescriptive analytics typically require heavy machine learning usage to monitor and identify new rules. The most glaring challenge of prescriptive analytics is its very high barrier to entry for many businesses. These type of analyses can be expensive to generate and require the assistance of data scientists – a field with overwhelming demand. 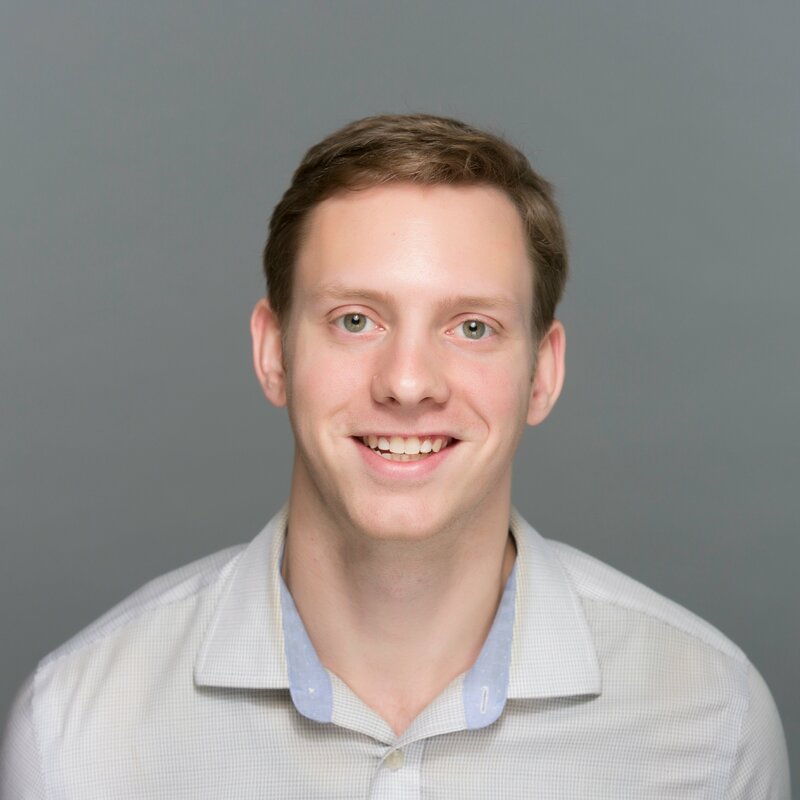 Prescriptive analytics is by no means widely incorporated today, but as data science becomes more commonplace, we should see more affordable prescriptive options. Now that we have an idea where website traffic should be headed, what are some actionable items to get it there? Prescriptive models should unveil a variety of answers. Publish double the amount of web content to reach traffic goals. Sales content will generate the highest amount of traffic. 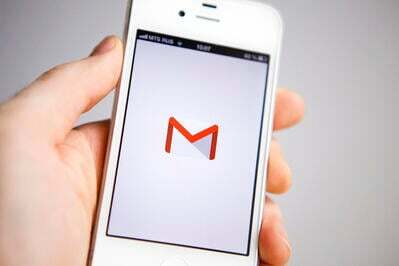 Email marketing content is the easiest backlink win. Which analysis is right for you? From identifying and drilling into the problem to predictions and generating actionable next steps, the four types of data analytics provide obvious value for any business. Once you reach an answer, take a look at how the data analysis process works.